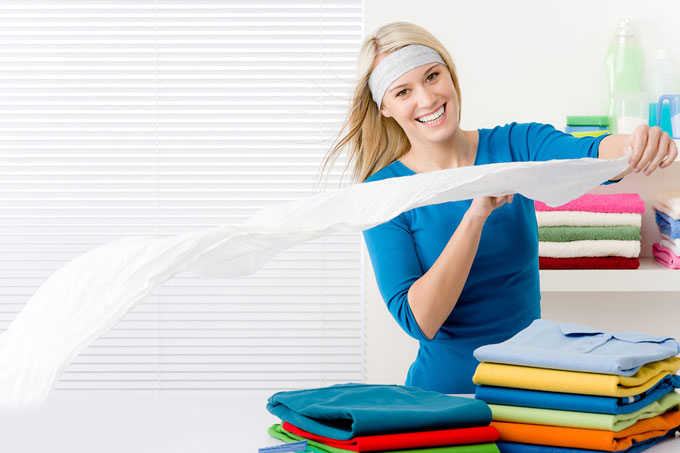 Our highly trained staff is here to service all of your Wash and Fold Service needs from start to finish. At Loving Wash and Fold Service we are dedicated to customer satisfaction by maintaining a high level of consistent, quality service. Do your laundry in 4 minutes at our San Diego Laundromat. It takes only two minutes do drop off your laundry and two minutes to pick it up! Wash your clothes with a guarantee not to combine with any other persons clothes. Pants and shirts will be hung on hangers at you request. Special instructions and preferences will be followed and maintained. All clothes will be folded, bagged or wrapped. Gift wrapping with a personnel card. Coin Laundry San Diego- A full self service coin laundry! Washer San Diego- The most powerful and eco friendly washers available. Hello, thank you for patronizing Lovely Wash and Fold services for your San Diego laundry needs. I have nearly 14 years of experience doing wash and fold service. I deliver great personal service and with the highest quality. I provide service for local costumers, traveling international clients, elite, and commercial accounts too. Loving wash and fold service use environmental friendly detergents, fabric softener and recycle wrapping paper.